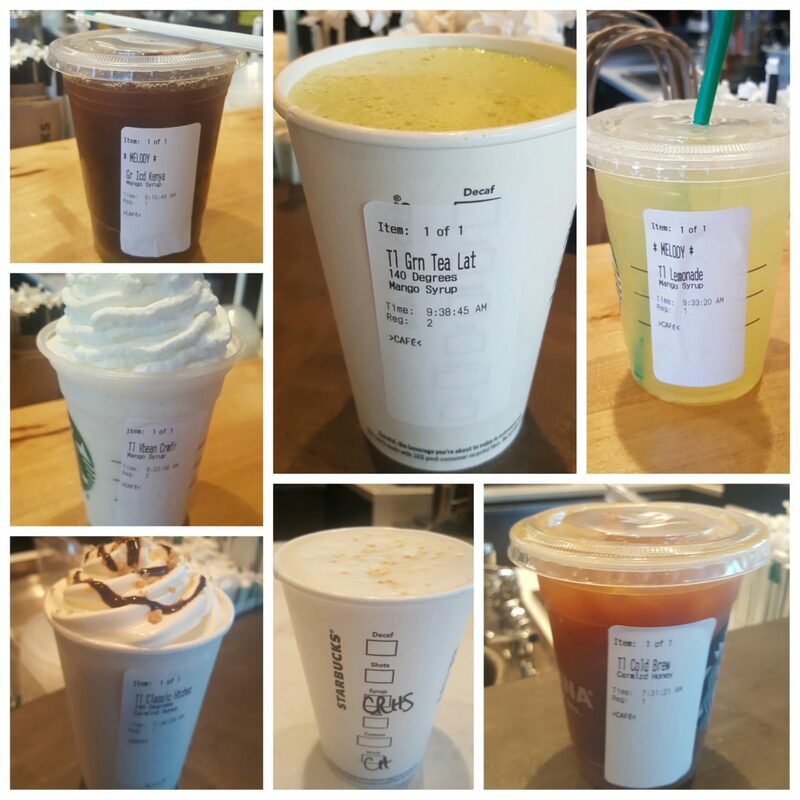 Right now at Starbucks, there are two seasonal flavors that you maybe haven’t tried yet: Caramelized Honey and Mango. Both were launched on March 22, 2016, as spring seasonal flavors. The mango syrup is usually used in the Teavana Shaken Iced Black Tea. And the heavier Caramelized Honey sauce is usually thought of as part of a latte – the Caramelized Honey Latte. 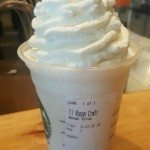 Try a Mango Vanilla Bean Frappuccino – This is pretty good! 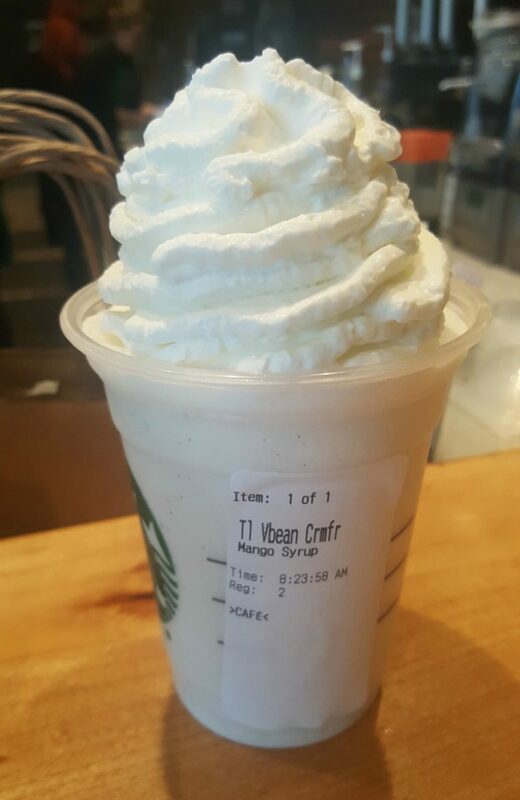 The mango adds a lot of flavor and it goes perfectly in a Frappuccino. I’d love to know if you’ve tried this one already? 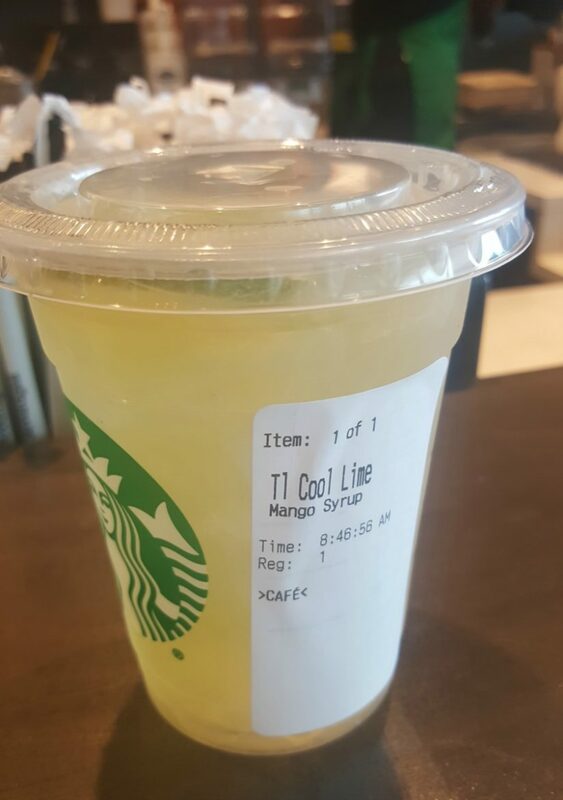 You can order a Cool Lime Refresher with Mango syrup – This creates a sweet, refreshing summer drink! Perfect for the nice weather that’s finally shown up in time for spring. I think you’ll like this one. 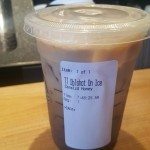 One of my favorite combinations that I tried was the Iced Kenya with Mango syrup. 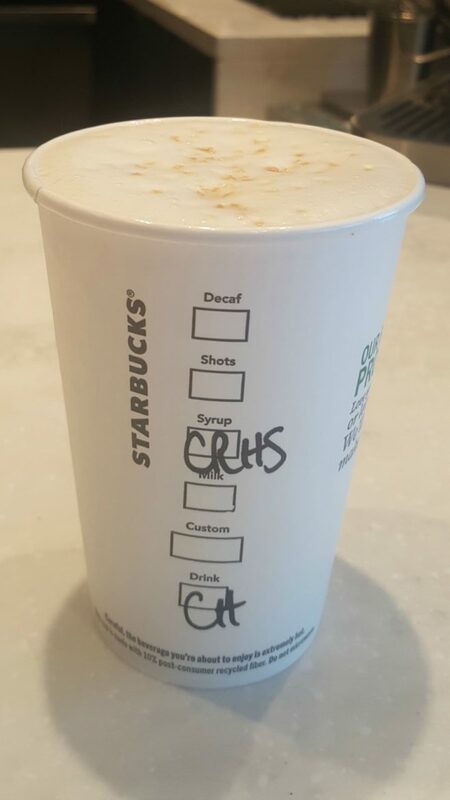 You’ll need to be in a Reserve Starbucks location to make this work. Mango and iced Kenya are wonderful together. I’ve ordered this one a couple of times. Be sure to stir it to avoid a clump of mango syrup at the bottom of the cup. 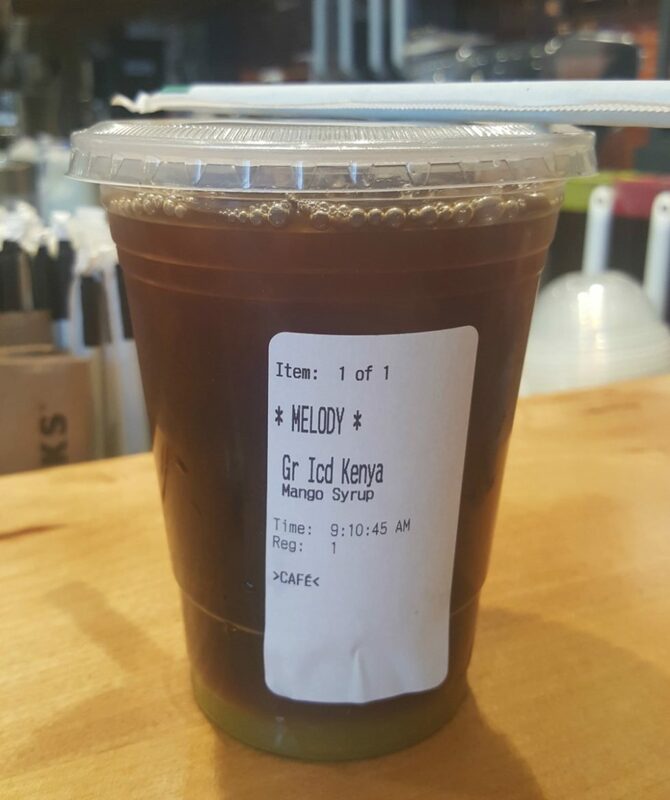 Kenya has some citrus notes to it, so it goes with mango well! 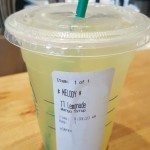 You might want to try a simple Mango Lemonade. 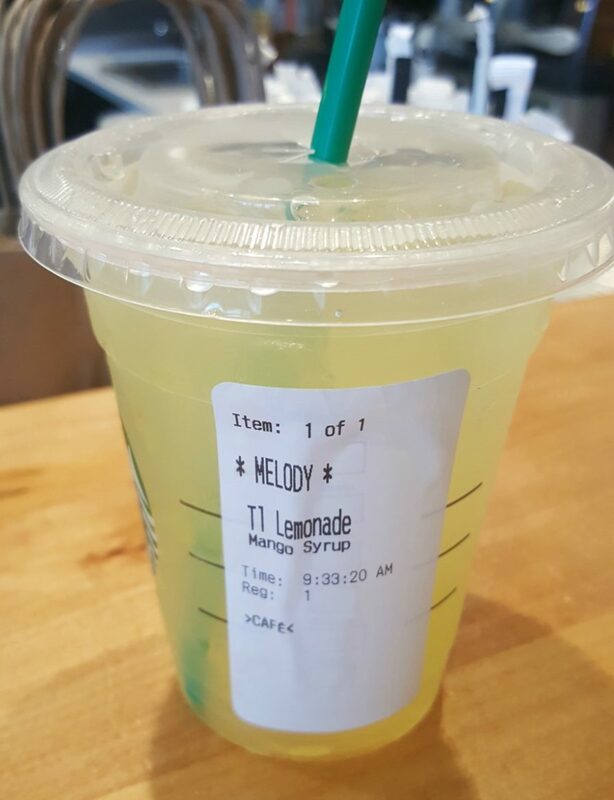 It turns out at Starbucks, you can just get a simple lemonade. 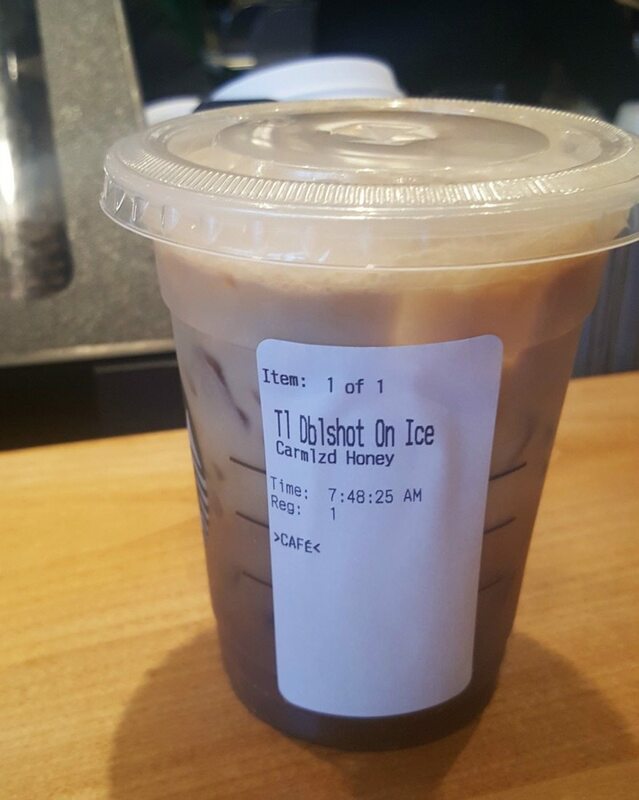 That’s just lemonade and ice in a cup. Add mango syrup for a fun twist. I warn you, this is a pretty sweet drink. 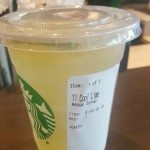 I’ve always thought that Starbucks lemonade is very sweet, and then adding Mango syrup to it, you get a ton of sweetness. This too might be fun on a very hot day! 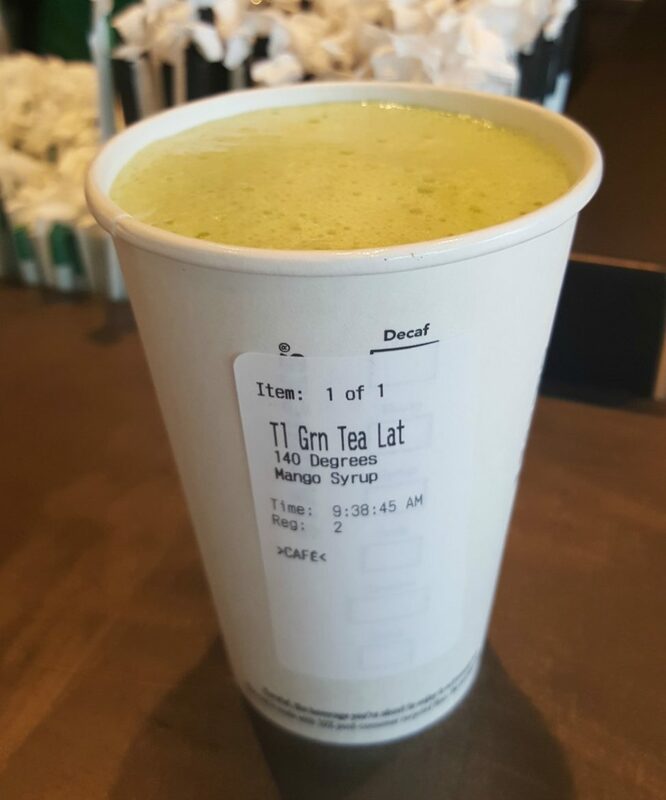 I also tried a Mango Green Tea Latte. This was surprisingly good. Having something sweet with the matcha is really wonderful and this adds a lot more pizzazz to your drink versus using just the plain Starbucks classic syrup. 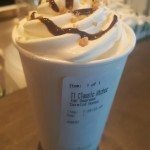 The first Caramelized Honey drink I tried was just the classic Hot Chocolate with Caramelized Honey. 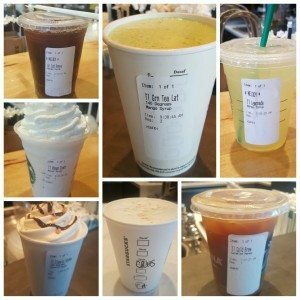 One barista said that this has been a popular twist on the drink. 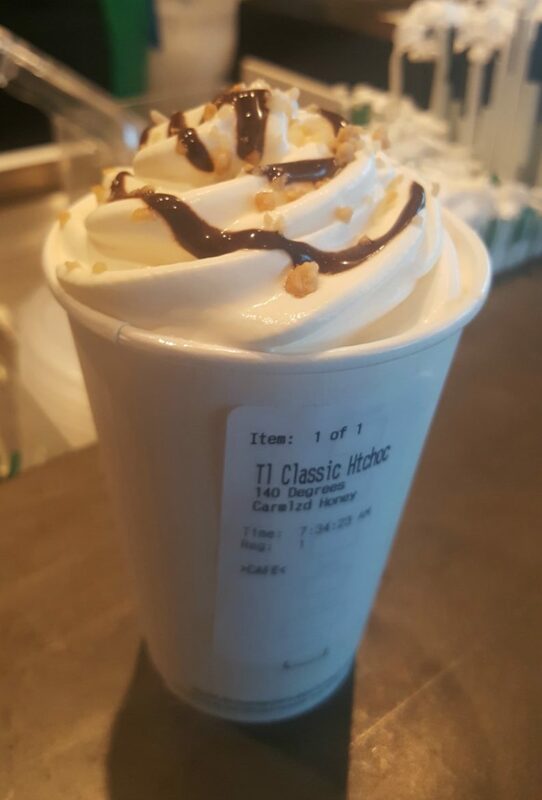 I definitely thought it was pretty good but the honey flavor is so subtle that I think it’s easily outdone by more flavorful syrups, like the mocha syrup. 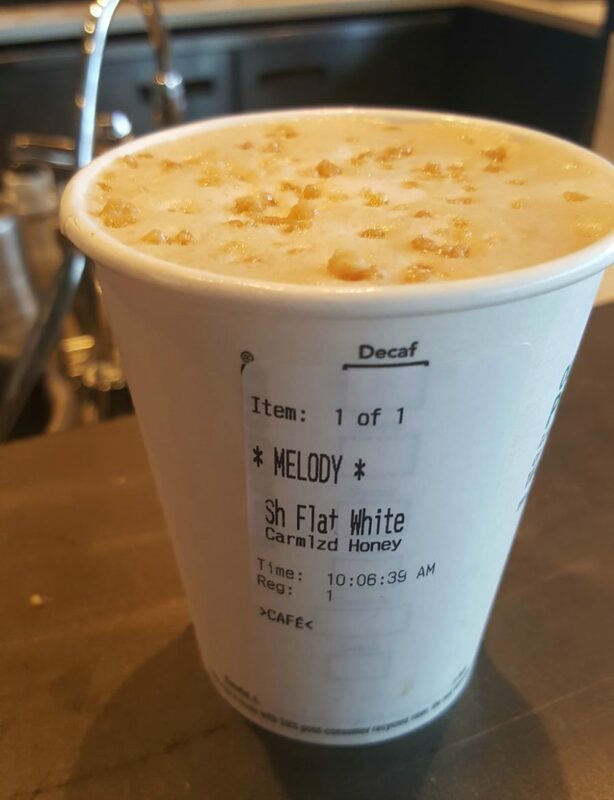 Of course, a basic variation for the honey syrup would be to just to do a Caramelized Honey Flat White. This was very good. 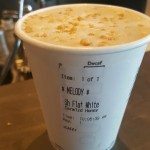 This will have a flavor profile extremely similar to the Caramelized Honey Latte, except that the Flat White version will be a more espresso forward beverage. Give your favorite chai a whole new twist with a Caramelized Honey Chai. 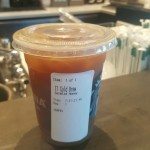 I think this is an example where the Chai is overpowering in comparison to the Honey syrup, but give it a try and tell me what you think. 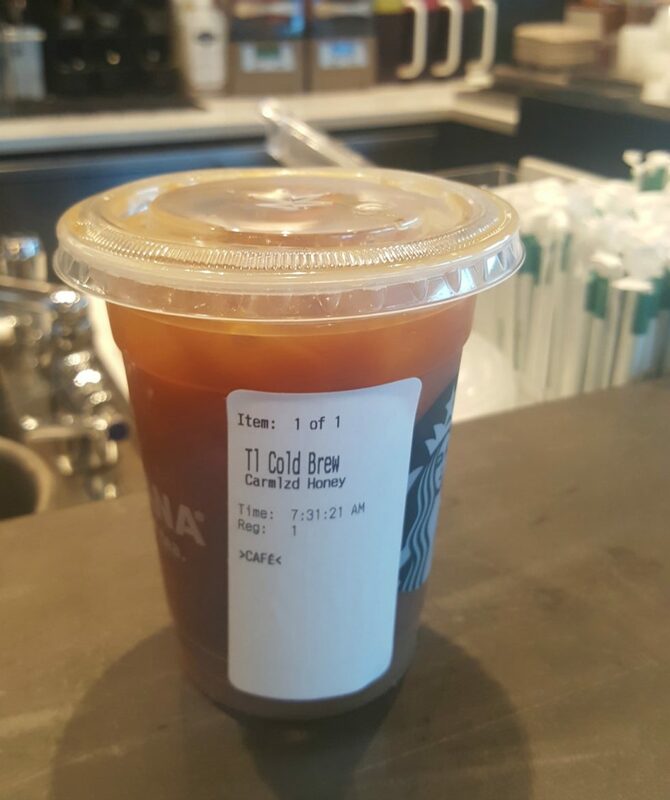 I also tried the Cold Brew with Caramelized Honey. This is an interesting combo. I did like but the Honey syrup is a little thick for cold beverages. 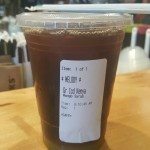 My barista added just a touch of hot water first and kind of pre-melted the honey sauce so that it could mix more easily with the cold brew. You should try this one! Let me know which ones you try and what you think! Or if you have a good idea for caramelized honey or the mango syrup, I’d love to hear it. 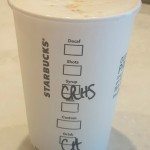 Keep in mind, when you’re ordering a drink at Starbucks and you add a syrup, you’ll be charged an extra charge, around 60 cents (Prices may vary by region). 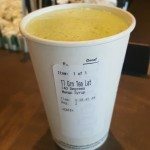 The Mango Cool Lime Refresher and Green Tea Latte w/ Mango sound delicious! I love posts like this! Great suggestions!